This event was streamed at https://www.twitch.tv/joshsampson with commentary from Nicholena Moon and Josh Sampson. Later, Kica was given a match loss due to a pair of gameplay errors during the match (double Energy attachment and double Supporter). A double game loss was issued after errors from both players led to an irreversible game state. Gao won game 3 after Narode accidentally announced the wrong attack. 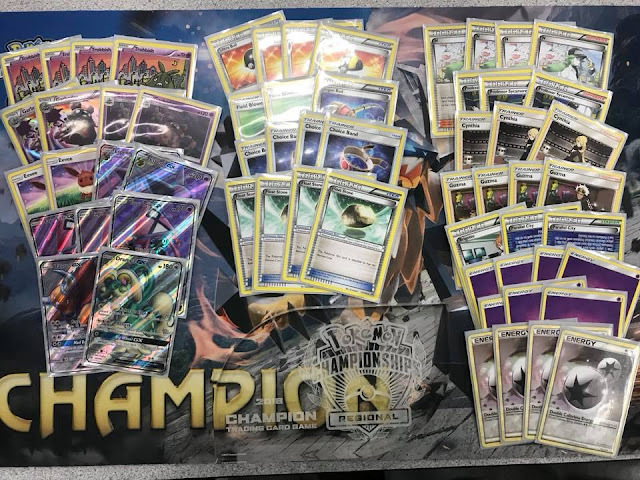 Lucario-GX was legal for the first time at this event. 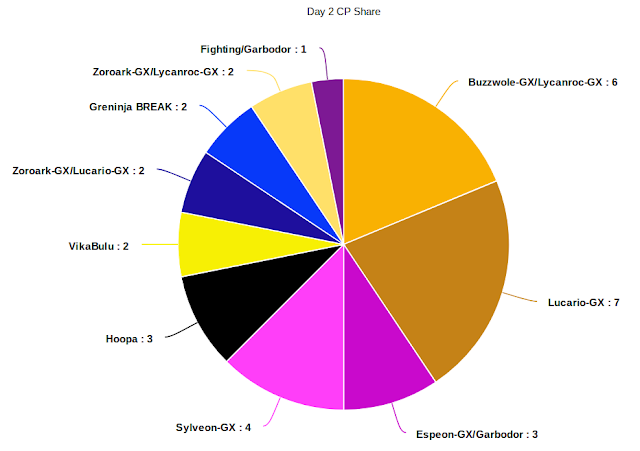 The finals match featured a 60-card Espeon-GX/Garbodor mirror between Xander Pero (the winner) and Colter Decker. 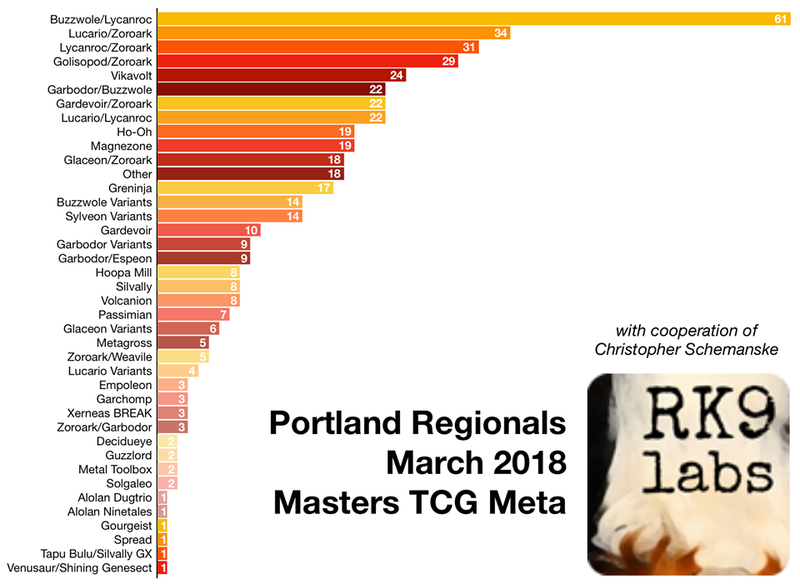 Both players worked on the deck together and tested it together the night before the event, and were consistently at the top tables throughout the weekend. The two strategically IDd at table 1 in the final Swiss round to ensure that they would not meet in Top 8. Sam Chen finished 11th, adding to an interesting streak: he had 11th-, 12th-, and 11th-place finishes, respectively, at his previous three Portland Regionals (in 2013-15)! Pero: "Tauros was really good against Greninja, mirror, and Zoroark." "The Gardevoir was very clutch not only for its GX attack, but because it can be used as an attacker to punish your opponent from loading too many energies on any given Pokemon. The 2nd Bodybuilding Dumbbells is super nice to have against Lucario decks because they don't run Field Blower, so they can never one-shot a Sylveon. 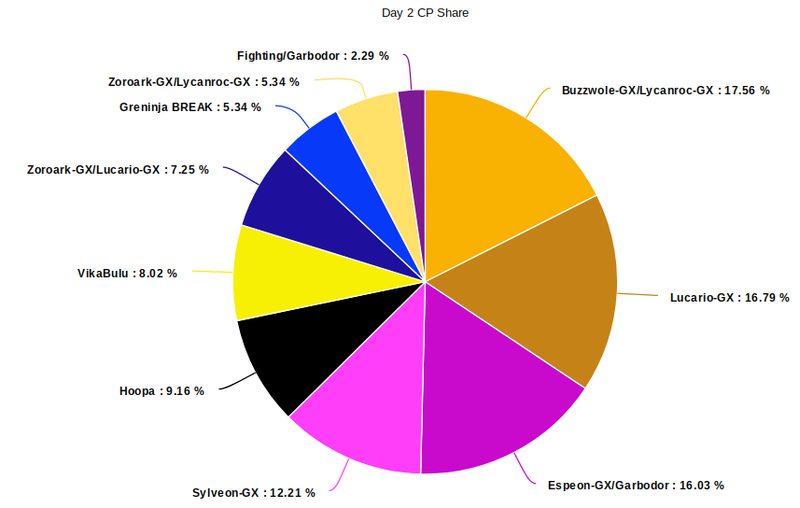 However, I suspect that (1) Lucario will now play at least 1 Field Blower and (2) Lucario as a archetype will be played less because of Espeon's success and because of Zoroark's decline. 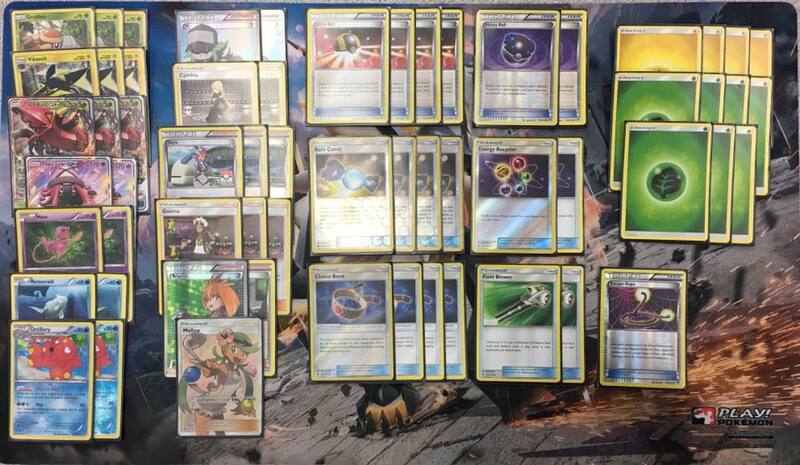 If I had to do the tournament again, I would cut something for a Plumeria, just because Plumeria has a very nasty effect and it is also a good way to "thin" dead cards from your hand." 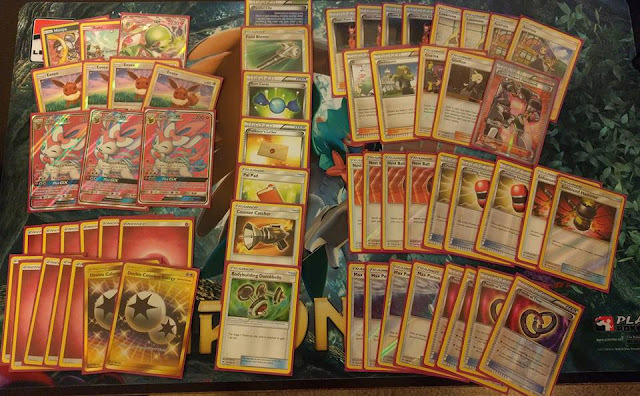 "The deck ran very well, getting out turn 2 double Vikavolt and Octillery consistently. The Mallow was a last minute inclusion that didn't really work out and I hated having the 3rd Guzma, so those are probably coming out. Besides those 2 cards, I wouldn't change anything else. Try the list out and see how quickly it sets up. If played correctly, you should be able to beat almost any deck. And yes, the draw support was sufficient and [I] wouldn't want anymore in this archetype." "I know I will put in a Switch, but don't know what the other card would be. I had [Nest Ball] in my Internationals and Ft. Wayne list, and may throw it back in." "...other than in the Garbodor matchup, 2 [Field Blower] was too many. In fact...at the St. Louis Regionals, I played 3 Garbodor decks and never needed a 3rd Field Blower." 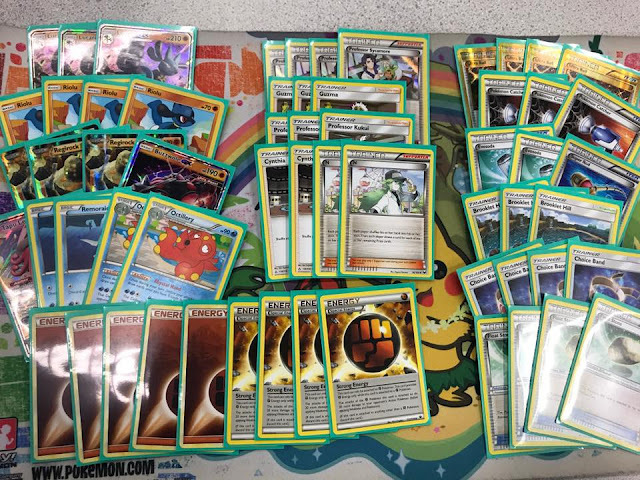 "[Rescue Stretcher and Super Rod are] both bad in this deck. Plus you should play according to what you have prized. 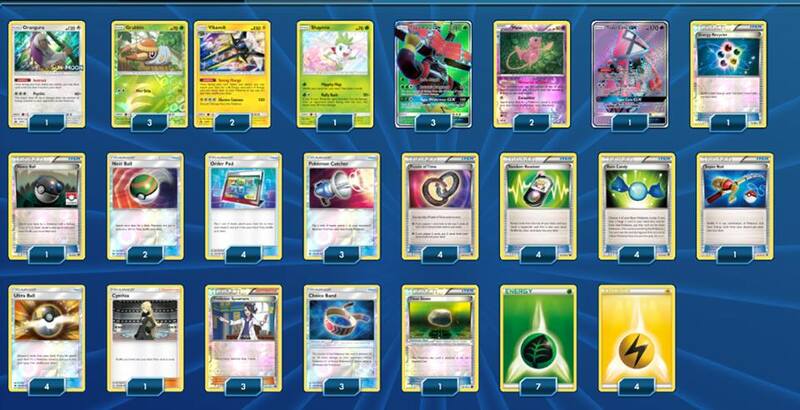 If I have 2 Bulu Prized, I go for a Mew and attack with that, or go into double Vikavolt and Choice Band KO a Lele to get a couple Prizes."